Dawn emulates Tanya’s moves like no other. Her command of the stage combined with Tanya’s classic country sound will leave you wanting more when you hear her sing “Walking Shoes”, “Strong Enough to Bend”, “It’s a Little Too Late” and of course the song that made Tanya’s career take off, “Delta Dawn”. Just like Tanya, Dawn has the edgy sound and sultry moves that has made her so unique in the world of female country artists. 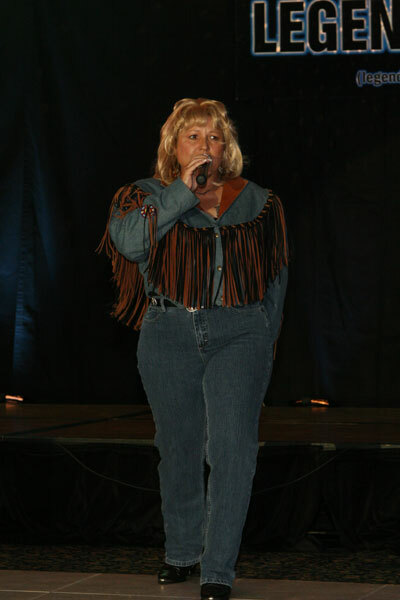 This seasoned tribute artist has performed her Tanya tribute all over Canada to South Dakota and back to Michigan. Dawn is also fortunate to have her own “partner” just as Tanya had Glen Campbell. Dawn’s husband, Reggie Lee, is one of the country’s top Conway Twitty tribute artists. Dawn will definitely bring out the toe tappin’ and hand clappin’ in every crowd!